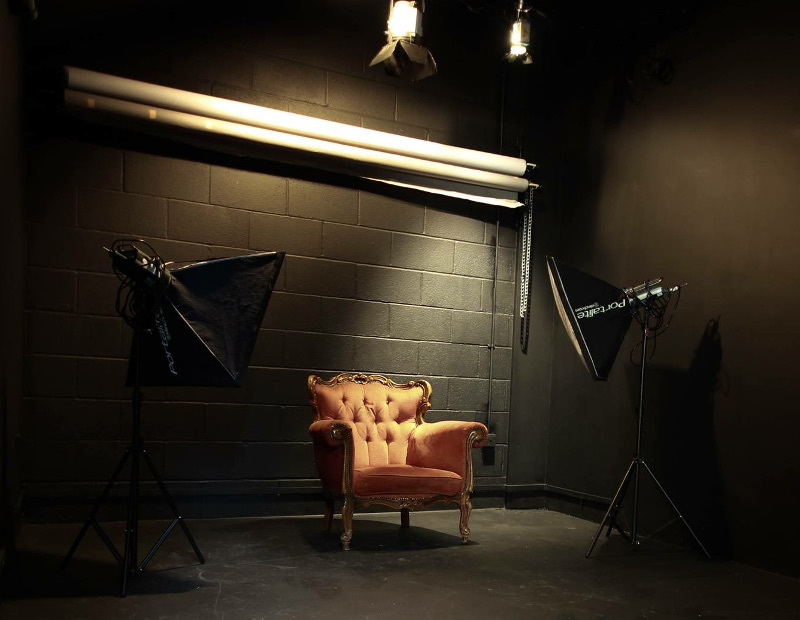 Studio 2 is ideal for small video, virtual reality, photo or product shoots involving up to 6 people. It has black walls, black ceiling and polished black floor. The zero reflected light and overhead lighting rails, help to introduce shadow on your subject, emphasizing curves to dramatic effect. Flash photography lighting on lighting rail, wall bracket and tripode is included. Video lighting on lighting rail, wall bracket and tripode is available for hire £30 extra. Colorama backing paper, £5 per colour change in most colours including green screen. Also benifits from shared use of adjacent lounge, make-up area, toilet, kitchenette, corridor and court yard.